Our Guarantee Is To Keep You Informed With A Thorough Explanation Of Your Situation, Inform You About What Your Options Are And Give You Peace Of Mind Knowing You Have Someone To Guide You With Your Case. Personal involvement in any accident investigation in order to identify all responsible parties and means of obtaining money for you. Working with other professionals as necessary to prove negligence by another party or identify product defects that have played a role in the accident. Applying a thorough understanding of the total impact and consequences of your injuries or the long-term financial impact of the wrongful death on your loved one. 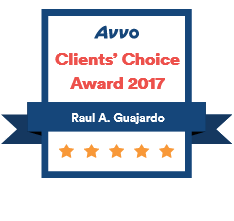 Raúl A. Guajardo, a native Spanish speaker, is a proven negotiator and strong courtroom lawyer who has won substantial compensation for personal injury sufferers and families of wrongful death victims. His knowledge of personal injury law makes your decision to contact our office after any serious accident a solid first step towards the best possible outcome in your case. I would recommend Mr.Guajardo's office to anyone who is suffering through a car accident. He always knew the best way to handle my situation. I was really happy with his staff's client service and attentiveness. Raúl is very knowledgeable and attended to any and all questions or concerns we had. Staff is also very friendly! We made a great decision using Mr. Guajardo to help us out! Experience was great. Communication was great. Mr Guajardo was very professional. If you ever need an attorney I strongly recommend Raul Guajardo. It is one of those events that nobody ever likes to think about, but unfortunately, thousands of people are affected by it every day across the United States. When you are injured in an accident through no fault of your own, it is important to know your rights under the law and how to protect and exercise those rights. An experienced personal injury attorney can help you on your journey to justice. 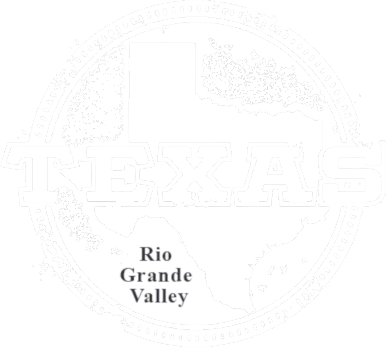 Raúl Guajardo helps those injured in motor vehicle accidents, slip and falls, construction accidents, and more in South Texas. It has been said that injuries can happen anytime and anywhere. Take a look at some of the yearly average injury statistics for the United States as reported by the National Center for Health Statistics. On average, an estimated 30 million people are injured badly enough each year in the U.S. that they need a doctor’s care. Out of these injuries, around 150,000 will die as a direct result of them. Many of these 30 million injuries are the result of negligence or wrongdoing on another person’s or business’s part. If you have been injured through no fault of your own, you have every right to seek compensation to recover lost pay, lost time from work, reimbursement for medical expenses, and damages for your pain and suffering. You also deserve compensation to provide for your future well-being if you have been disabled or are unable to work. No company or person wants to admit fault when injuries occur, and that is the reason why so many claims are disputed and need to be resolved by the legal system. Once you have decided that you would like legal representation to help you with your case, there are certain qualities that you should look for in an attorney. First, it is always best to look for an attorney who has experience in personal injury and tort law. You do not want a lawyer who specializes in divorce cases but has also “dabbled” in personal injury law to represent you. 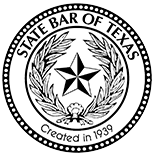 Every area of law is different, and being experienced in one area does not necessarily mean an attorney will be successful in other practice areas. Also, consider the reputation of any prospective attorney that you want to hire. You should always meet with an attorney face to face and have a consultation about your claim before making your decision; this can go a long way towards giving you confidence that this is the right attorney for you. 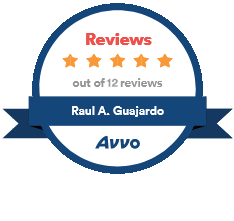 In personal injury cases, McAllen personal injury attorney Raúl Guajardo works on a contingency basis. This simply means that he only gets paid if he wins or favorably settles your case. Call the Law Office of Raúl Guajardo, P.L.L.C., today to find out how he can help you put your life back in order and recover the compensation you need after a serious accident.